I sometimes long for the pillar of fire at night and the cloud by day to guide me as I make my way through this world, like the Israelites had during their wilderness wanderings. But I am reminded of God's abiding presence in the Spirit and his promise to never forsake me. I believe that if I seek his glory he will get me where I need to be to do his will and bless me in the ways that most benefit me in this life and the next. 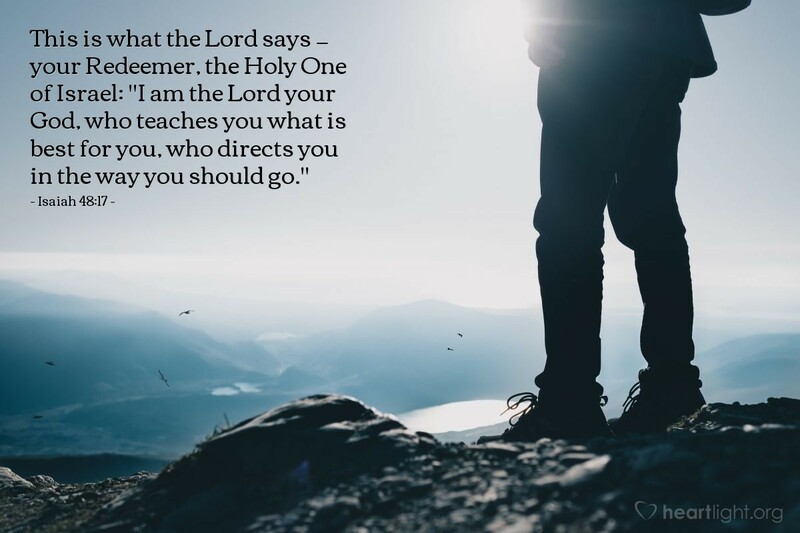 O heavenly Father, guide me to the places you want me to be, to the ministries in which you want me to serve, and to the people you most want me to touch. Capture my heart to do your work and never let me lose sight of your coming glory. In Jesus' name. Amen.